Home / TV/Movies / What Happened To / What Happened To: The Cast Of "Hello, Larry"
What Happened To: The Cast Of "Hello, Larry"
Hello, Larry aired on NBC from January 26, 1979, to April 30, 1980, and featured a PRE Real Housewife Of Beverly Hills, Kim Richards. Although sometimes referred to as a spin-off of Diff'rent Strokes, the show was actually conceived as a series in its own right. 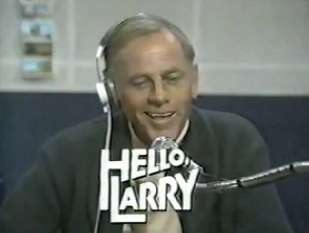 After struggling to gain ratings, NBC rescheduled it to appear immediately following Diff'rent Strokes, and incorporated into the show's plot that Larry and Phillip Drummond were old Army buddies (with Drummond's company becoming the new owners of Larry's radio station), thereby allowing several crossover episodes on both programs in the hope of raising the popularity of Hello, Larry....it didn't work. 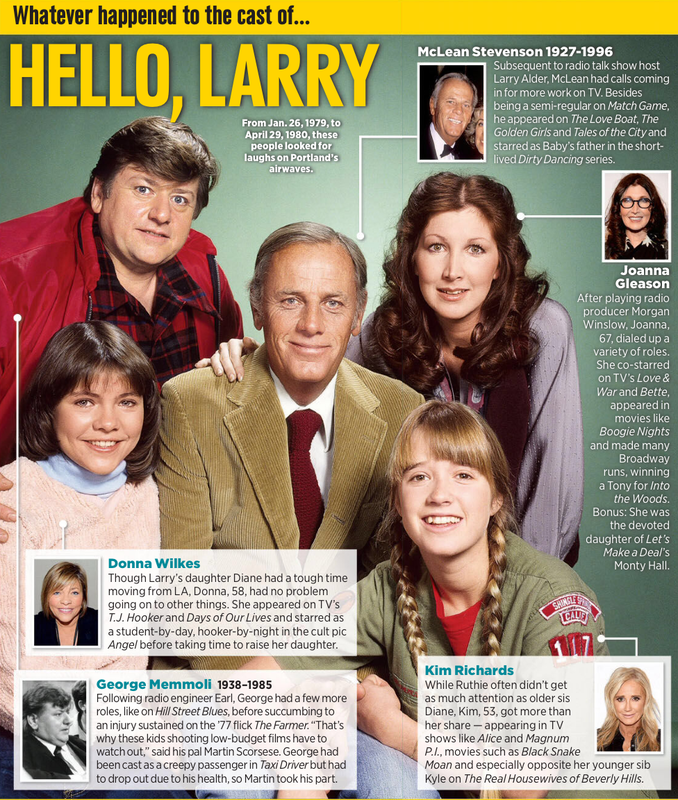 Hello, Larry aired on NBC at a time when the network was experiencing its lowest ratings. The show was greeted by viewers who had high expectations based on Stevenson's M*A*S*H association, but quickly gained an extremely bad reputation as a weakly written, unfunny sitcom. The show was not helped by frequent ridicule from Johnny Carson in his The Tonight Show monologues. Indicative of NBC's struggles at the time, Hello, Larry—despite its extremely poor reception—lasted only 35 episodes. TV Guide ranked the series number 12 on their "50 Worst Shows of All Time" list in 2002. Funny that Fraiser, a show so similar in concept (minus the kids) worked so well a decade later.